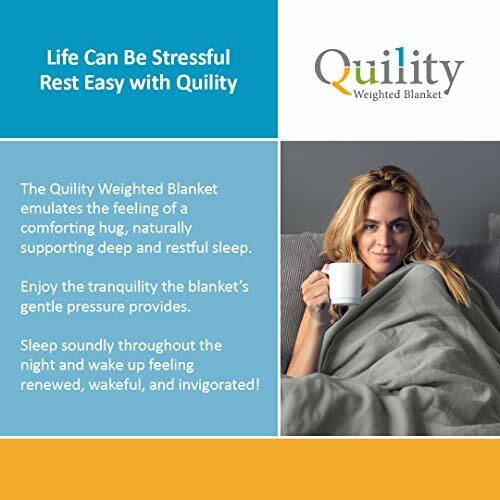 Purchase Quility – Premium Adult Weighted Blanket at Discounted Prices ✓ FREE DELIVERY possible on eligible purchases. 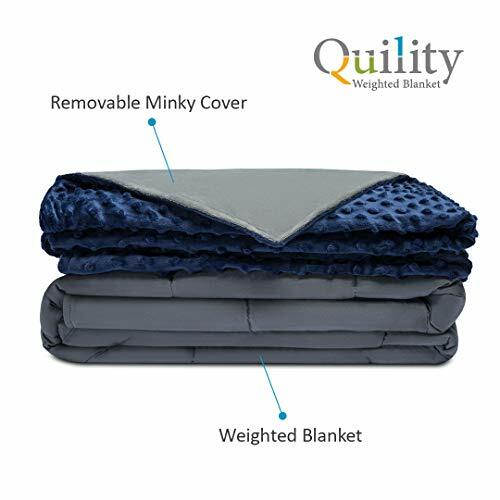 SOFT TO TOUCH REMOVABLE COVER: Each comforter comes with premium removable polyester duvet cover, which is secured with 6 string ties along the perimeter of the blanket. Removing the cover not only keeps you cool during summer nights but makes doing laundry much easier. Just remove the cover, wash it in the machine and air dry. 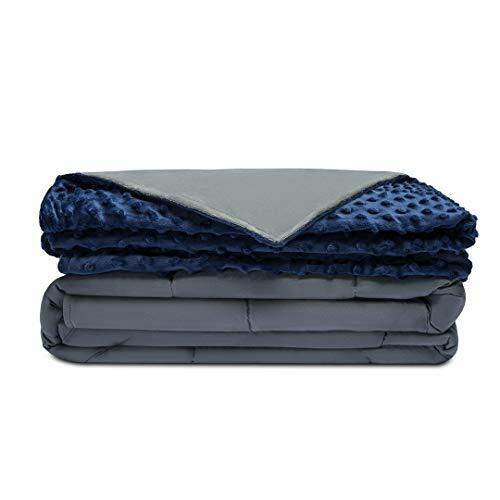 The minimum age for the use of a weighted blanket is 12 years old. 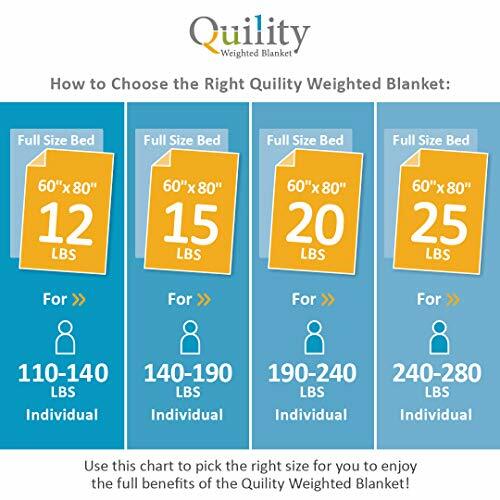 The recommended weight for a weighted blanket is 10% of your body weight plus 1 pound. 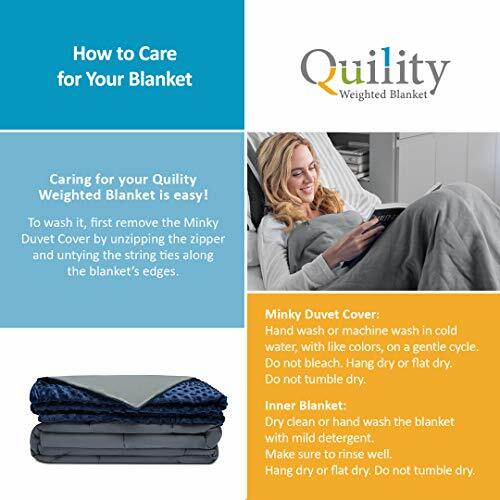 Weighted blankets should never be used to restrain a person or restrict their movement. Weighted blankets should never go past the shoulders and should never cover the head. Pregnant women, babys under 5 years old and people who can't move the heavy blanket themselves are prohibited to use the product.